Folk Dancing is lots of fun and keeps us fit in mind and body. 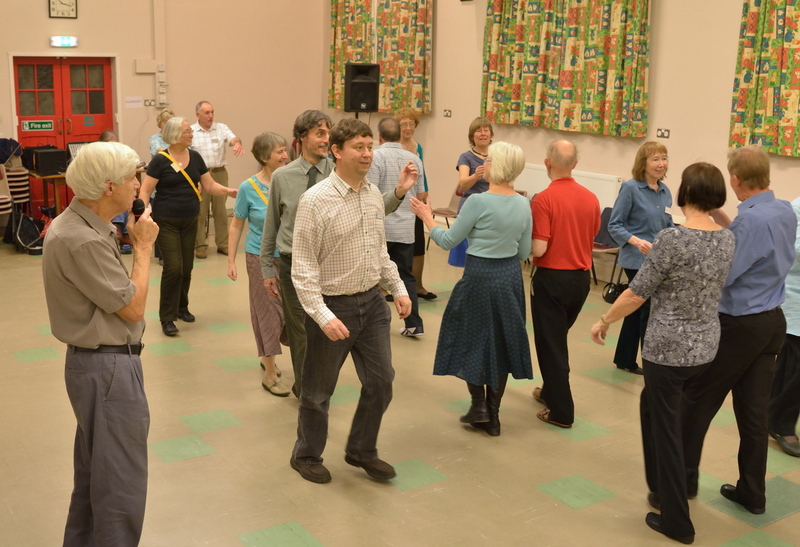 We dance an interesting range of folk dances from English country dance, stately Playford style to American square and contra dances. 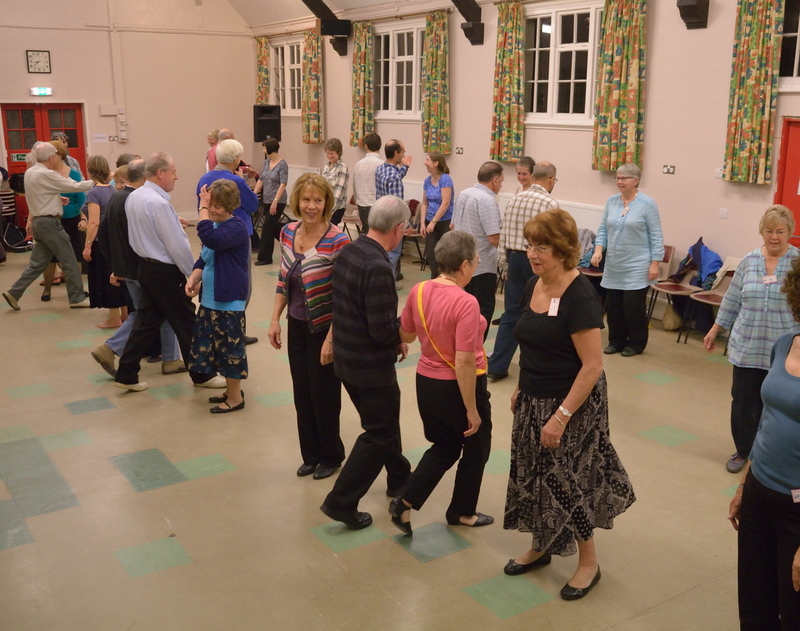 If you’ve been to a barn dance or an English ceilidh you have probably done easy examples of all these styles including moves like stars, back to back and swing. Every dance is explained and walked through first. While you dance, the caller will keep calling to remind you of the next move so you don’t have to memorise each dance. You don’t need to bring a partner. Often people change partners after each dance so you end up dancing with lots of different people. 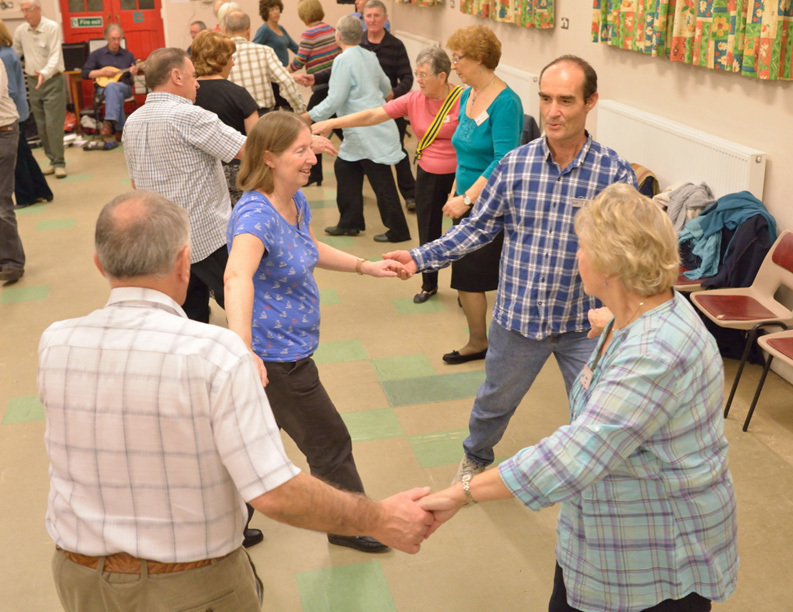 COME ALONG to a Wednesday Club Night, on your own or with someone else and join in the fun dancing. Your first night is free with no obligation. If transport is a problem, we might be able to help. Workshops are occasionally arranged for newer dancers in which moves are explained and demonstrated slowly and repeated in a relaxed, friendly atmosphere. Dates of workshops are announced at Wednesday Club Nights and invitations are emailed to newer members.